A stylish ladies jumper featuring the word 'Mama' in contemporary font. The perfect present for mothers day or a lovely gift for a mummy. This lovely ladies sweatshirt is a traditional shape with a crew neck. 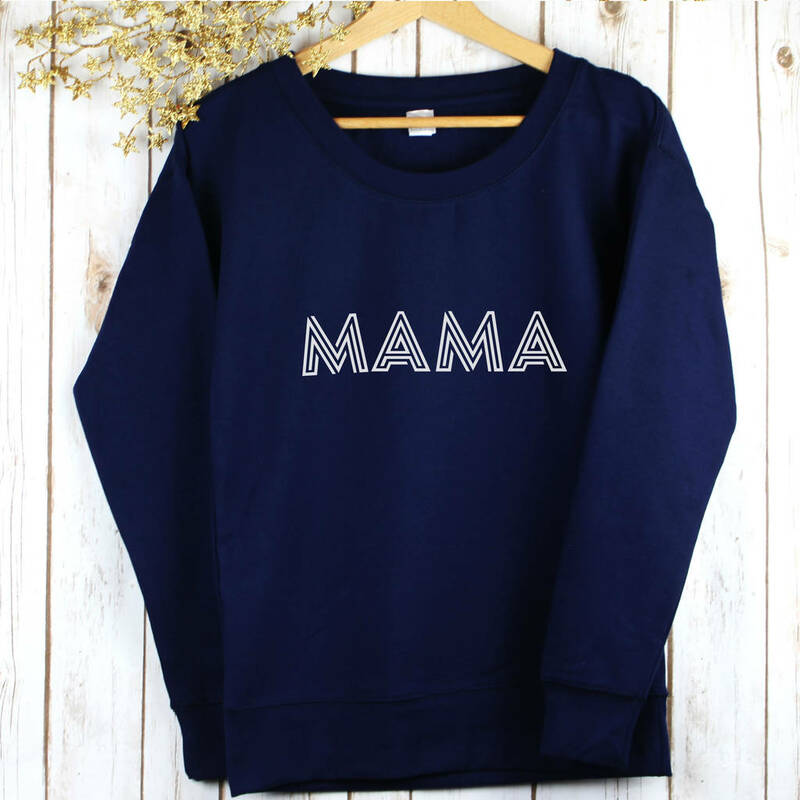 The word 'Mama' is printed in a modern linear style font in white. The sweatshirt is premium quality, made from a supersoft cotton blend and is handcrafted in our studio in leafy Surrey. You can choose for the sweatshirt to be grey or navy blue. The perfect gift for a special mummy or treat for yourself! Available in sizes 10-12, 12-14, 14-16 and 16-18.